Give a nod to the season with dashes of bright red―but pair them with an unexpected shade such as pale turquoise. 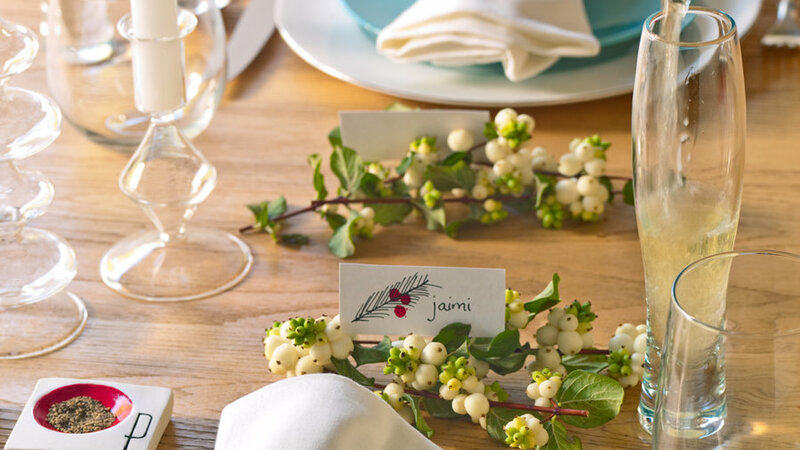 You can even skip the tablecloth: Show off a pretty table along with your easygoing style. Just keep a few cocktail napkins handy for spilly friends and relatives. 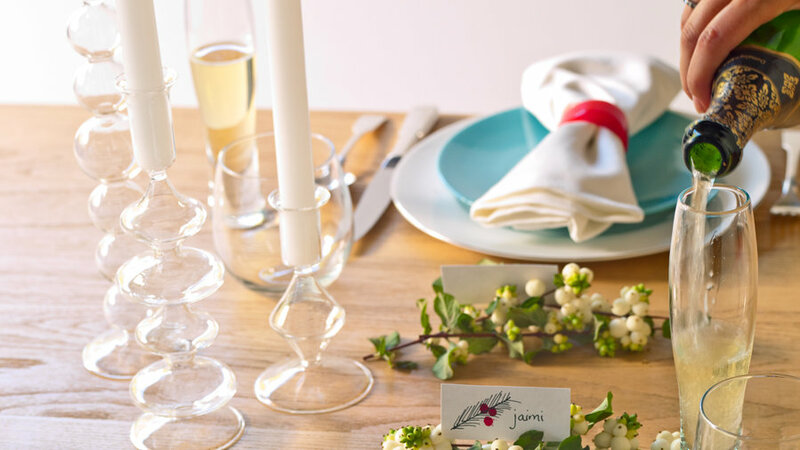 Trade fragile-looking or matching tableware for an inviting, eclectic mix. 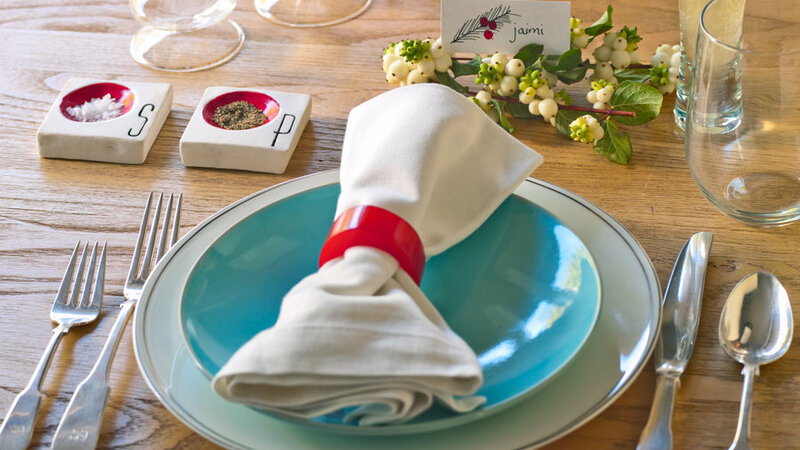 Top your white heirloom dinner plates with colorful pottery. We found these at a thrift store. Ceramic salt and pepper cellars, $36 for the set from . 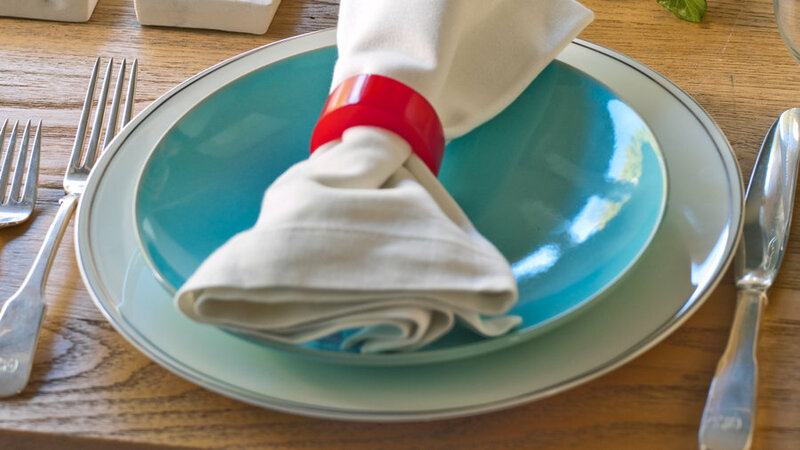 Similar napkin rings $6 each from the . 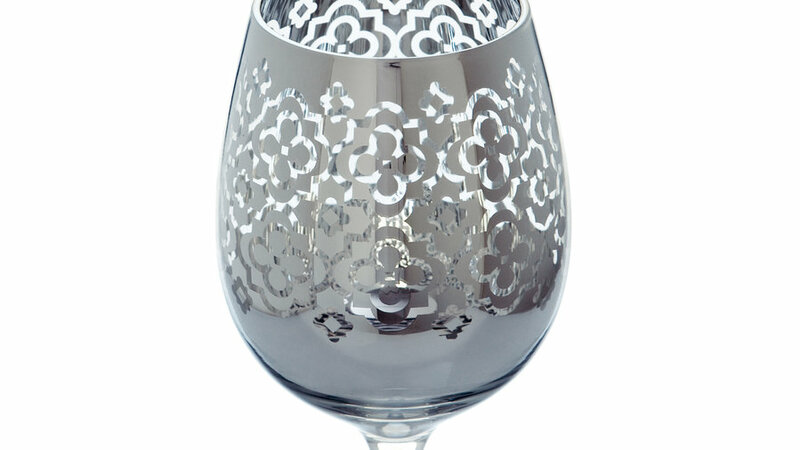 Try contemporary glass flutes instead of crystal Champagne stems. These were $6.95 each from . 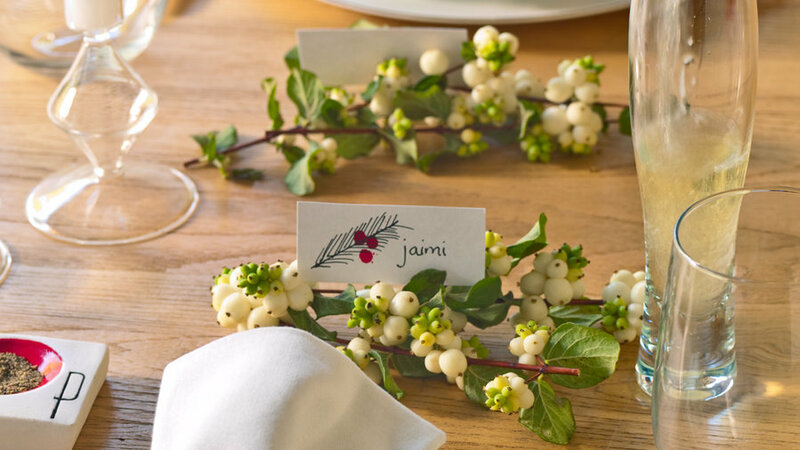 Create placecards from any type of thick paper that you have on hand, then nestle them in clusters of colorful winter berries, branches, or pinecones from your yard. Ditch stuffy silver candelabra (and all that polishing) for shimmering glass candleholders in a variety of shapes and heights. These are from (from $2.95 each). 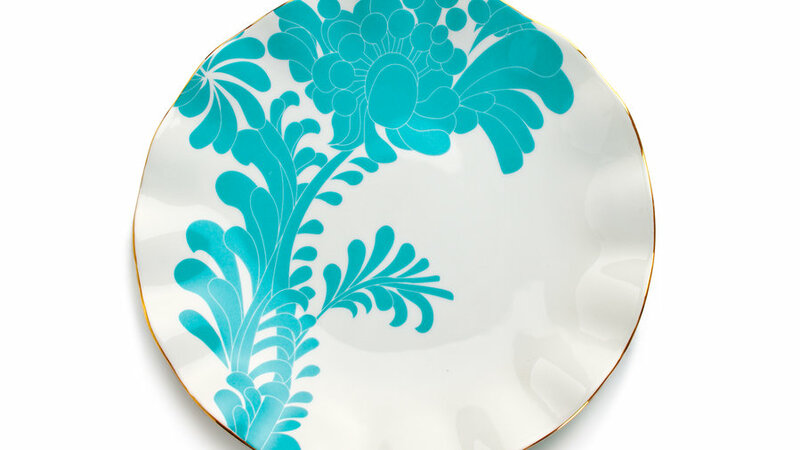 Kate Spade Gwinnett Lane turquoise accent plates ($20; ). 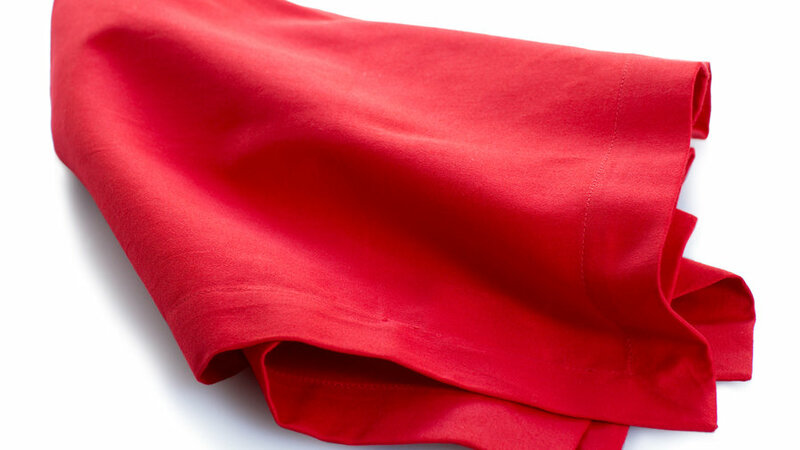 Red cotton napkins ($3.95 each; ).